This is a PSHE resource for the Emotional Health and Wellbeing Programme of Study. Today there is convincing evidence that a well-rounded education should include an understanding of meditation and the 'inner life'. Engaging with Mindfulness develops emotional literacy and wellbeing. 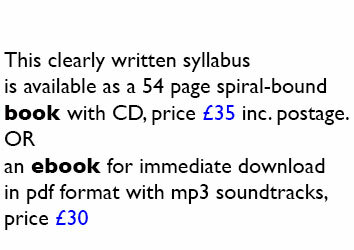 Mindfulness for Schools was launched in 2010 as an A4 spiral-bound book with CD. As the first such teaching resource in the UK it continues to be used by hundreds of schools. It is also available as an e-book with audio tracks in pdf format for immediate download. • Making good use of Mindfulness is a modern life skill as important as any curriculum subject. Today there is neuroscientific evidence that a well-rounded education should include an understanding of meditation and the ‘inner life’. • Learning how to live in the ‘now’ — to make a habit of being aware of the present moment — enables students to notice their thoughts and emotions, identify the difference between impulses and actions. • Practicing Mindfulness encourages more careful decision-making. Young people will empathise more, learn from each other, discover how to make the most of relationships, know how to balance 'doing' and 'being'.